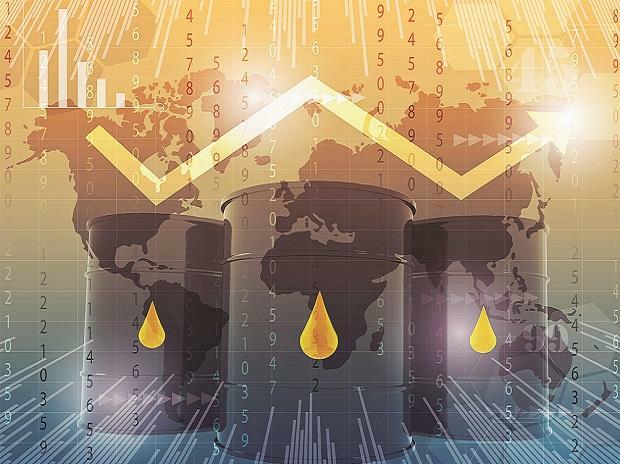 Brent crude surged to its best weekly gain in more than two years, as encouraging economic news out of the US helped oil markets turn the page on 2018’s price collapse. The global benchmark closed higher on Friday, ending the week up 9.3 percent for its best showing since December 2016. Oil rallied alongside the US stock market following a strong jobs report and dovish comments on interest rates from the Federal Reserve. Production declines from Saudi Arabia to Libya also buoyed a market that plummeted last year on fears of a supply glut. “The economy in many ways looks strong and that should be good for demand," said Michael Lynch, president of Strategic Energy & Economic Research in Winchester, Massachusetts. “You’re getting some people buying back in, as they look out and decide the market has gotten oversold." US crude finished the week up 5.8 percent, undoing some of the damage from its 40 percent slide at the end of 2018. Prices have rallied as protests and bad weather curtailed exports in Libya and data showed Saudi Arabia was reducing output even before an OPEC cut scheduled to start this month. “Underpinning this wave of buying is mounting evidence that Saudi Arabia has taken an ax to its oil production,” said Stephen Brennock, an analyst at PVM Oil Associates Ltd.
Brent for March settlement added $1.11, or 2 percent, on Friday to settle at $57.06 a barrel on the ICE Futures Europe exchange in London. West Texas Intermediate for February delivery rose 87 cents to $47.96 a barrel on the New York Mercantile Exchange. The March WTI contracts traded at an $8.78 discount to Brent for the same month. The positive economic news was enough for traders to shake off an unexpected jump in U.S. crude stockpiles. The slight increase was far off the decline expected at year-end, when tax adjustments and winter fuel demand typically drive refiners to sop up more oil. Petroleum product supplies also surged, with gasoline inventories surging by 6.9 million barrels and U.S. Gulf Coast stockpiles reaching a record. U.S. exports of crude and refined products also fell sharply from the prior week. That may have been a holiday lull or the result of temporary congestion at U.S. ports, said Rob Thummel, managing director at Tortoise, a Kansas-based money manager that oversees $16 billion in energy investments. U.S. refineries operated at 97.2 percent of capacity, with plants consuming the most crude on a seasonal basis ever, according to data going back to 1989. “That could be a sign the refiners expect pretty strong consumer demand as we move forward," Thummel said.